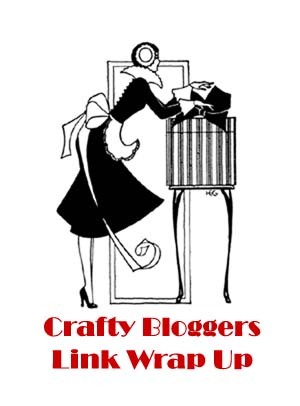 Crafty Bloggers - What\\\'s up? Check it out! Want to get a jump start on Christmas crafting? Check out these Christmas in July crafting ideas! Aileen's gal pal Christy offers up some scrumptious journal backgrounds, and how she achieved each one! There is a new give-a-way for a jewelery mold that Carmi wants you to know about! This week at Craftside there is a fun tutorial on how to fold an origami fractal geometric, how to create Audrey Hepburn eye makeup, draw and paint Pin-Up Girl lips, two American Flag themed art quilts and Los Angeles Swap-o-rama info. There are probably as many art journal techniques as there are artists who keep visual journals. See which ones Eileen chose for her first art journal page. Cyndi's artsy daughter moved to Portland OR last week and kept Cyndi very entertained with pictures from her adventures driving cross-country! See how to make a "deer" card. Drew has been on tour! Catch up with how it went via his latest blog posts! Visit my website at Connie Gee Designs for free charts and more information.